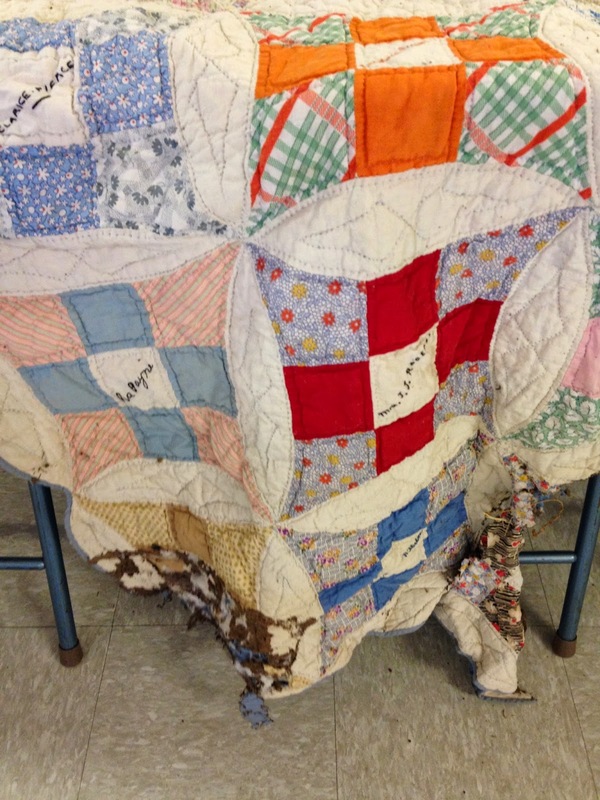 This is a very sad story about a quilt that wasn't rescued in time to save much of it. 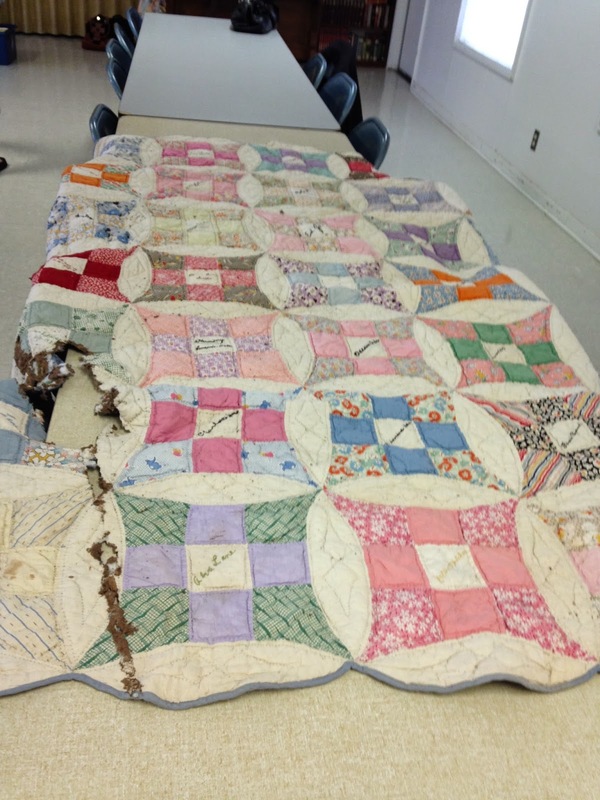 Vickie at More Stars in Comanche was contacted by the Comanche County Historical Society about restoring this quilt. 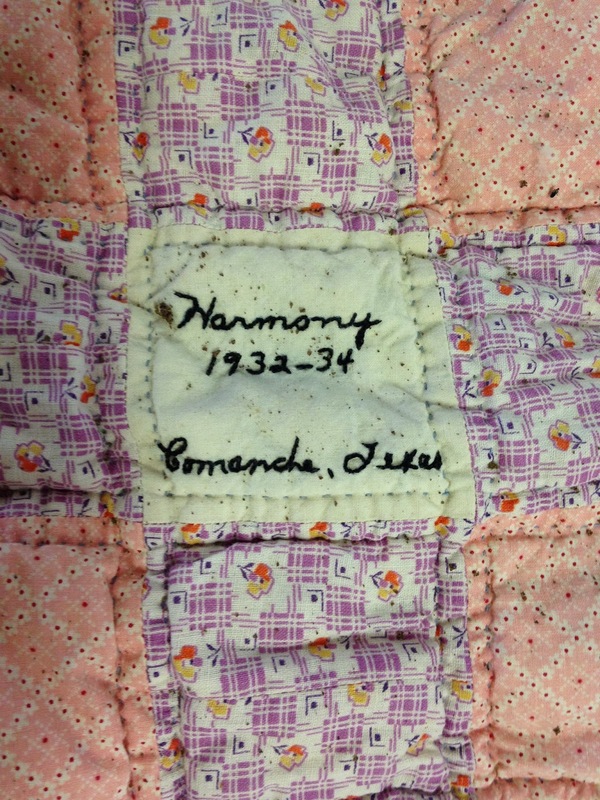 The pattern is an Improved Nine Patch and was made by the ladies of the Harmony Good Will Club in 1932-1934. It originally had 49 names on it so you can imagine it was a good sized quilt. Of course all made from 30's feed sack prints. A beautiful quilt in it's day. As you can see, it hasn't been stored properly and hasn't been taken care of. It was given to Vickie in a plastic bag. (First no-no of storing a quilt!) If you'd like to know more about how to properly store a quilt, I found this article to be very helpful. You can read about it here. This is so, so heartbreaking! And what's worse, there really isn't any way to restore it to it's original state. The thoughts from the group were to mount it as is in a large encased frame with an note/placque listing the original names. Do you have other suggestions? That IS a sad story. I hope most of it can be salvaged. 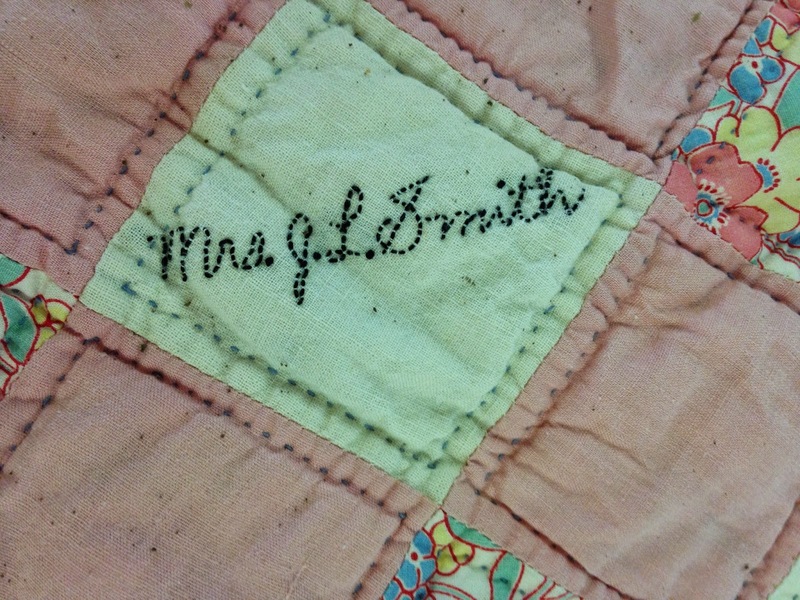 What about putting the word out to other quilters that you need authentic feed sack prints and see if you can get enough donated to repair the quilt? Otherwise, their idea of putting it under glass with a plaque. So sad. 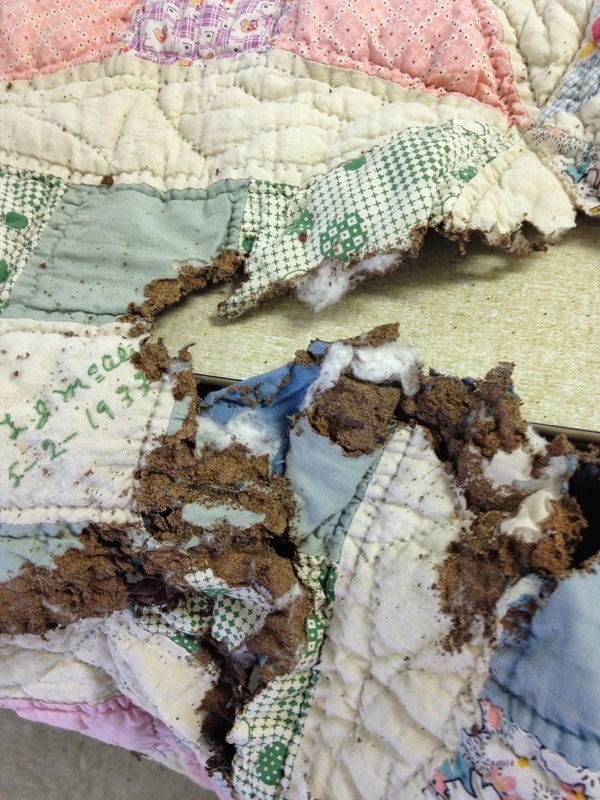 I have a similar quilt (Dresden Plate) that my great grandmother hand pieced/quilted that wasn't properly cared for...I'm going to have to shorten it by a row due to mice chewing it up for their nests. Grrrrr!